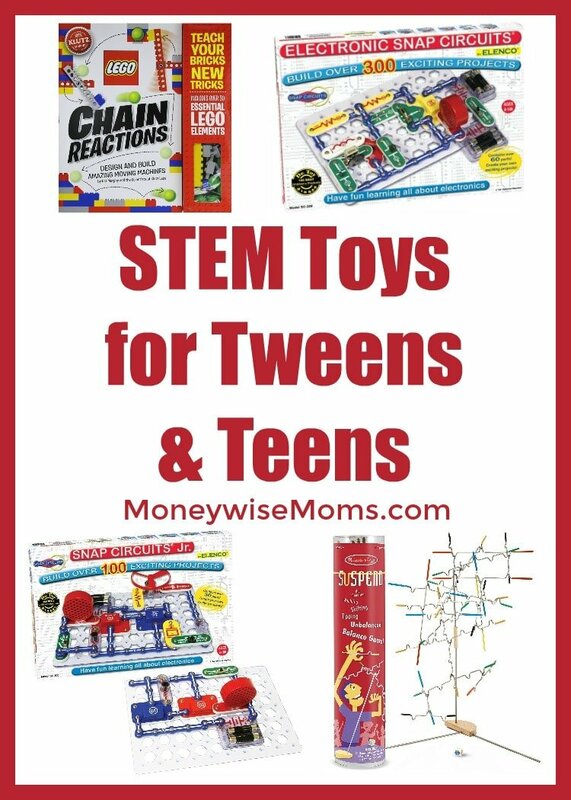 Shopping for older kids can be tricky, but most love doing something active–as with these STEM Toys! Move up from building blocks and basic Lego to robotic kits, circuitry boards, and coding. All of these great gift ideas are easily ordered at Amazon, and with Prime FREE 2-Day Shipping, you’ll get them quickly so you can wrap them up and hide them away. Thanks for using my affiliate links! If you have older kids, what STEM Toys have your kids loved? Now is the perfect time to get a Free 30-Day Trial of Amazon Prime . You’ll get free 2-day shipping, making your holiday shopping so easy! You’ll also get unlimited streaming of thousands of movies and music–holiday or not! Copyright (c) 2008-2019 All material is written by and is the property of Wise Mom Media LLC. Please do not use any content from this site without my permission.